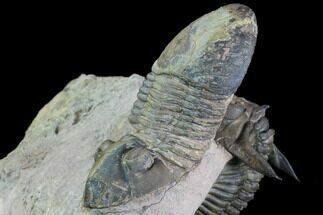 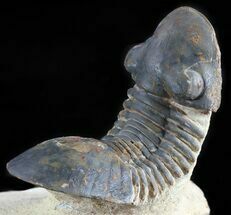 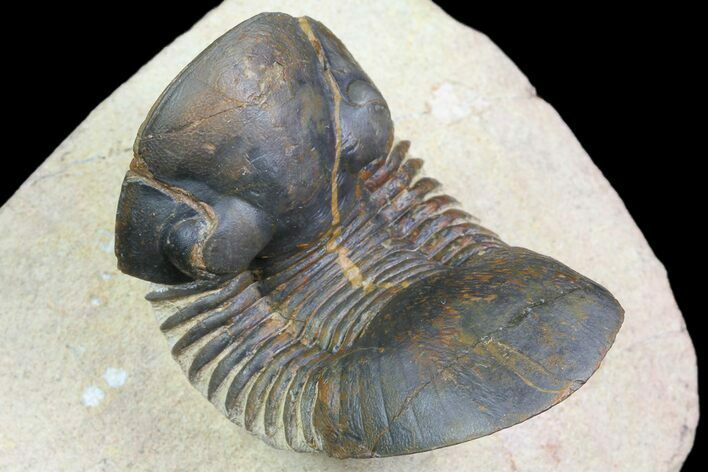 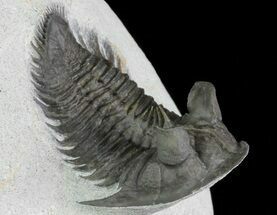 This is a 2.2" long (if outstretched) specimen of the Corynexochida trilobite, Paralejurus. 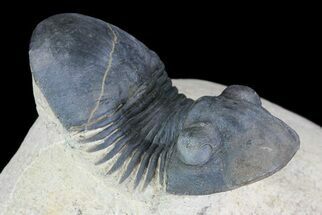 It still shows quite a bit of shell detail, and you can even see the hundreds of tiny eye facets under magnification. 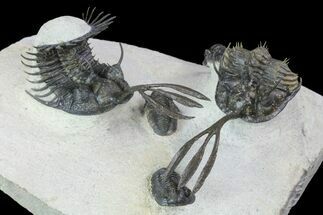 The limestone around it has been removed so that it looks like it is about to crawl off of the rock. 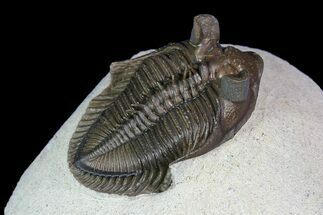 About 2% restoration, two small patches of shell on the head along the repaired crack.